Reports have been circulated that a researcher from the Korean National University of Education has discovered a two-toed dinosaur footprint. Only one family of dinosaurs is known to have made two-toed prints, the bipedal Dromaeosaurs (the family is Dromaeosauridae means “swift lizards”). Members of the Dromaeosauridae include animals such as Velociraptor, Deinonychus and Utahraptor. A trace fossil such as a two-toed print is indicative of a Dromaeosaur. These animals did have three toes that reached the ground, but the claw on the second toe was raised when it walked, keeping it sharp and pointed. This was the infamous “sickle claw”. 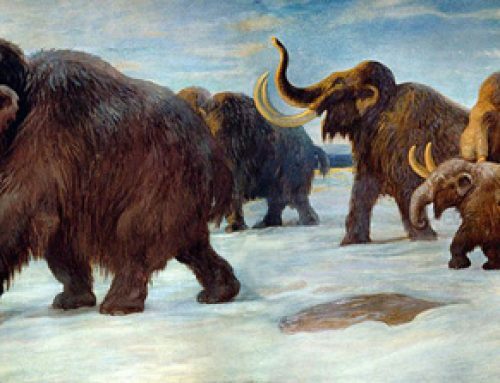 Hence when these animals walked or ran, only two-toed prints were left behind. This trace fossil was found in South Gyeongsang Province. It is relatively small when compared to other Theropod footprints, measuring 15.5 cm in length with a width of 8.4 cm, but this is a significant find as Dromaeosaur trackways, like most meat-eater trackways are very rare when compared to the tracks made by herbivores. This phenomenon is due to the fact that there are more prey animals around at any one time than predators. This is the first evidence of Dromaeosaurs in Korea, the strata in which the print was found has been dated to 100 million years ago. This print proves that there were small “raptor-like” dinosaurs in Korea during the Cretaceous. I have just noticed what appears to be a two toed dinosaur footprint in some sandstone in a pathway. Happy to send photos to anyone interested. Sounds fascinating, suggest you take some pics (remember to include an object such as a coin to provide scale) and to provide information on where the possible prints may be (location, how you found them etc). Happy to receive prints and we can pass onto our chums in Australia who study dinosaurs. well from what I could find, it looks like I have the footprint of a Dromaeosaur on my hands.